In the summer of 1992, public relations writer Alison Miller takes her savings and flies from Chicago to Europe in search of information about Stendhal, the nineteenth-century French author of The Red and the Black and The Charterhouse of Parma. Traveling to the same cities, walking the same streets, and taking in the same vistas, Alison hopes to discover fresh material and gain an intimate perspective to write a new biography of Stendhal with whom she feels a deep affinity. Alison, fifty-four and in a crumbling marriage, is on her own for the first time in decades. During her sojourns in Grenoble, Milan, Civitavecchia, Rome, and Paris, she does, indeed, bring to light new Stendhal work, but her far greater discoveries are about herself as she learns to love again and, most importantly, to accept love that is offered to her. 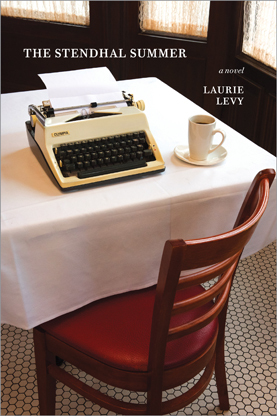 Laurie Levy is a Chicago author and journalist, whose grant in literature from the Illinois Arts Council helped enable her to travel to France and Italy to research Stendhal's life. Born in Omaha and raised in Iowa and Arizona, she has contributed to major Chicago and national publications; published three books of nonfiction and a short story collection, The Inland Ladies; and edited two collections of fiction by Chicago authors. She has worked as a fashion editor, an international restaurant critic, a film critic, book reviewer, and travel writer and columnist, while publishing short stories in a wide variety of national literary magazines. Laurie is the mother of two and grandmother of three.